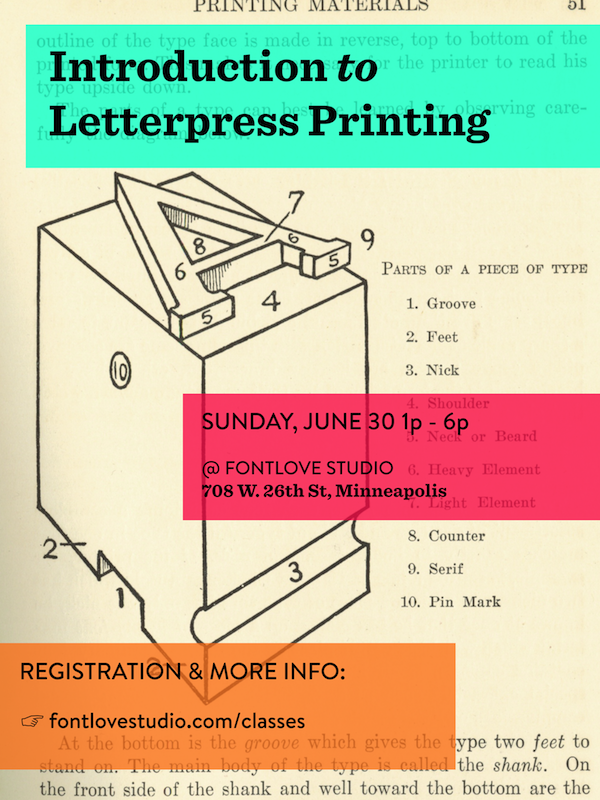 Sign up now for Intro to Letterpress Printing at Fontlove Studio! Letterpress is old-school, but it's making a comeback. In this digital, on-demand world there is a certain tactile appeal to the 500-year-old process of printing with moveable type. Lovers of graphic design, typography, printmaking and old machinery – If you've always wanted to learn more about letterpress printing, now is the time!